Halloween is my favorite holiday. I love the crisp fall air, the fun colors, and getting dressed up. Some years I wear a costume, but sometimes I want a Halloween shirt or outfit without wearing an actual costume. 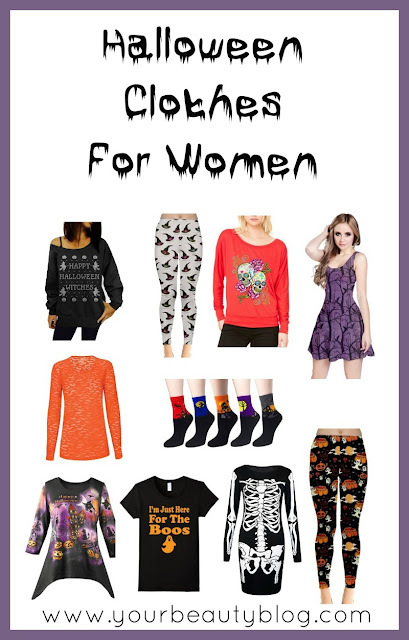 These festive Halloween women's clothes and shirts will have you in the spirit of the holiday without having to wear a costume. Links in this post may be affiliate links, which means that I earn a small commission from sales at no additional cost to you. CowCow Pumpkin Leggings - I love these because you can wear them anywhere! 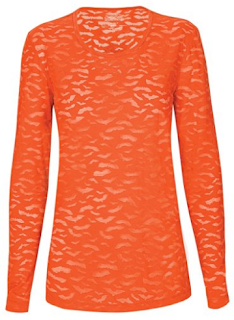 Pair with a solid or printed Halloween shirt for a fun outfit. 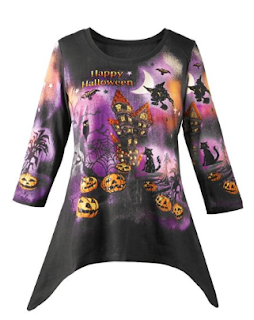 Halloween Tunic - Wear with leggings or jeans for a fun Halloween outfit. 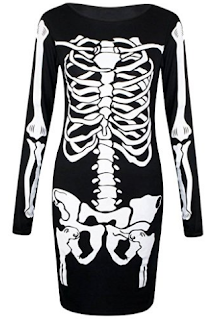 Forever Women's Long Sleeved Skeleton Dress - This can be pair with tights to dress it down or with heels for a fancier party. CowCow Halloween Woods Sleveless Dress - Available in two patterns and more than 10 colors, there are a lot of options for this dress style. 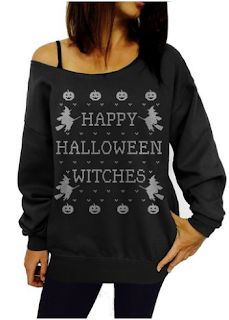 Happy Halloween, Witches - This shirt can be worn to a party, to the store, or pretty much anywhere! 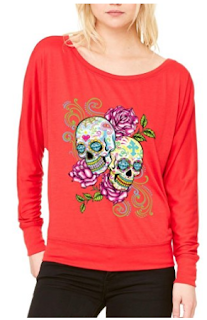 Day of the Dead Sugar Skulls - This design is available in several colors and styles. Halloween Bats Tee - I love this shirt because you can wear it to the kids' school parties, work, or anywhere. CowCow Women's Witch Leggings - Pair these with your favorite Halloween Shirt. 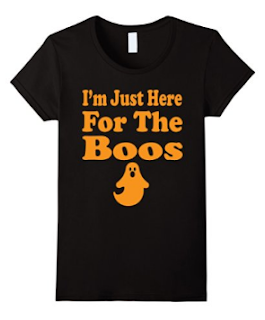 I'm Just Here for the Boos Shirt - Need I say more? 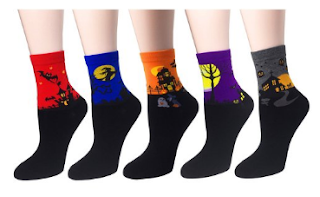 Halloween Socks - If you have a job where you can't wear a fun Halloween shirt, keep the holiday spirit with these cute Halloween socks. 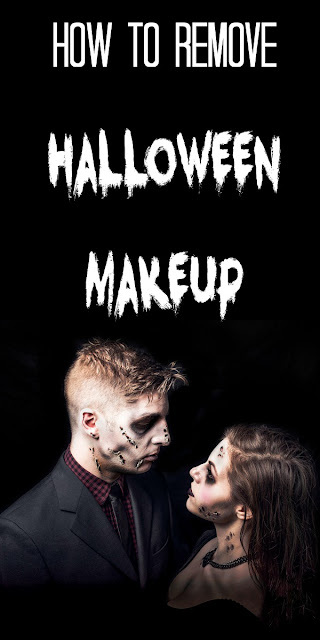 Do you wear Halloween clothes or shirts to get in the spirit?